There is a good range of hotels in Singapore and Malaysia. 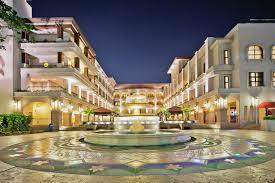 You can find the upscale 5 star hotels to the very low end 1 star type of hotels. There are also plenty of mid range budget hotels, that have very acceptable quality. These types of accommodations are the best, as they provide you with exceptional quality, but at very reasonable prices. Most of the time when you are traveling you won't be staying much in the hotel, so why bother paying such high prices for the hotel? The most important factor is that the hotel is clean, decent, and comfortable enough to have a good nights rest. Here are some useful online resources in finding these mid range hotels in Singapore and Malaysia. Hotels.com provides a good listing of hotel prices in the world, including Singapore and Malaysia. Many times you will find awesome deals for even some of the 4 to 5 star hotels in Singapore and Malaysia. Usually there will be last minute deals, and seasonal promotions, so you will need to check back frequently to catch these offers. Hotel81 is Singapore's largest chain of quality budget hotels. They are usually around the 100 S$ (Singapore dollar) per night range, and are very decent and clean inside. In some of the newer Hotel81 branches, they are well equipped with LCD television and wireless Internet connection. Also you will find most of the Hotel81 branches in Singapore are located in the main downtown areas near the various points of interest. Tune Hotels, is one of Malaysia's best hotel chains, which is owned by Air Asia, one of South East Asia's largest budget airline companies. Their slogan describes it best: "5 star beds at 1 star prices". It is an innovative approach where you just purchase the base price for the room, and add on any additional items needed on top of it to save costs for both the customer and hotel. So for example, all you need to do is pay the base price for the room, and then you can top up additional items such as air conditioning, towels and other toiletries, and wireless Internet connection. This way you can control what items you need, and therefore you can control the price. The rooms itself are very clean and very modern. 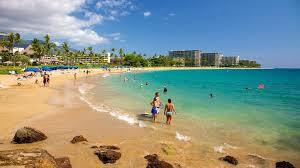 By carefully keeping a look out for offers and deals you can find very cheap rates on very decent and clean hotels. By using some of these resources, this can help you to easily save significant amounts of money for your next hotel stay in Singapore and Malaysia. Alec Chan is a travel writer, intrepid traveler, and food enthusiast, who is very passionate about traveling. Trends are changing globally and tourists are preferring to go off the beaten path, take on new destinations where there is more originality and less commercialism resulted by tourist arrivals. The recent move of Thai Air Asia, has turned Chiang Mai into its newest hub as the airline officially inaugurated its third hub in Thailand earlier this week. Thai Air Asia already offers flight to Phuket, where it has its second hub and the first in capital City Bangkok. "We see Chiang Mai emerging as an attractive destination for tourists, and we want to contribute to make Thailand's northern capital even more attractive thanks to our low-fare structure,"
In very recent past, some internationally reputed and notable airline have stopped their flights to Chain Mai, the names include Thai Airways, Tiger Airways and Malaysia Airlines. These airlines have hardly any success in offering flights to Chiang Mai. 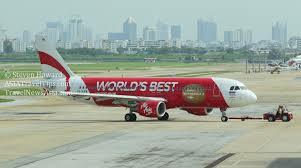 However, considering the changing trends that can be seen and counted in terms of number and collected as facts and figures, as more people are reserving flights directly to beach destinations, without stopping over in the capital cities and away from commercialism, there are very bright chances for Thai Air Asia to make its place as the only flights to Northern Thailand. 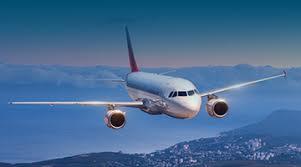 The country has recently see increase in number of flights to Puce, that arrive without stopping over in Bangkok (only connection flights to Bangkok ) while flights from and to other cities and Islands in Thailand are gaining more popularity. 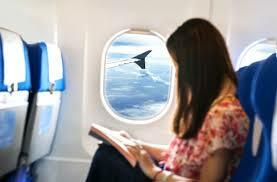 Travelhouseuk offers cheap flights, holidays and hotels world wide.Travelhouseuk offers cheap flights to Bangkok from all major Uk airports. There are some great, luxurious resorts in Montego Bay. There is no need to travel too far away from your hotel since all of your needs will be taken care of at just about any resort. Ocho Rios is a good alternative if you can't find your ideal package in Montego Bay. Jamaica is a pretty big island with activities and sights that appeal to everyone. Not only are there wonderful resorts in Saint George Parish, there are also nice apartment rentals. Be sure to check out holiday vacation packages that include entertainment, free Wi-Fi, and private pool areas. An all inclusive package might be worth looking into, especially if the price covers airfare. 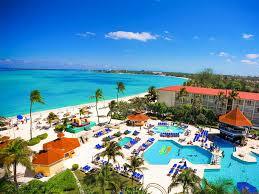 This is consistently ranked as the most affordable holiday spot in the Caribbean. There is no shortage of beach resorts, spa clubs, golf resorts, and casinos. If you're interested in snorkeling or scuba diving, there are nice underwater playgrounds in Curacao. You'll definitely want to spend some time in the capital city of Willemstad, with its museums, world-class shopping, and amazing architecture. Of all of the holiday vacation packages in the Caribbean, this destination is probably the most popular for couples seeking a romantic retreat. Of course, there is much more in Nassau than just romantic resorts. It's also a nice destination for the whole family. There are food tours, kid-friendly activities, wildlife centers, shopping, and a lot more. There are a variety of affordable vacation opportunities in Punta Cana: some for couples, family-friendly, all-inclusive, etc. You can also find luxury packages that don't cost as much as you might think. The area is known for its soft, sugary sand and golden beaches. Relax at your resort if you want. Or play some challenging golf at places like La Cana or Punta Espada. There are plenty of nice places to hike as well. 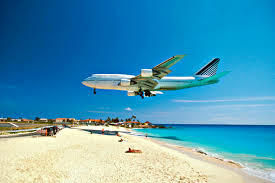 In the spring, it is easier to find holiday vacation packages to the US Virgin Islands. St Thomas is a popular area and is often referred to as "the most cosmopolitan" of the USVI Islands. If you want to stay at one of the four-star luxury hotels, book as early as possible, as the rooms and suites go very quickly! If you're looking for holiday vacation packages and dreaming about the perfect getaway, you can plan every step of the journey online. Discounts and promo codes on airfare, hotels, all-inclusive resorts, cruises, and more are available. 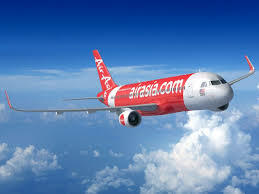 Air Asia is not merely offers budget travel but additionally it assists booking hotel, tour packages, and courier and cargo services. 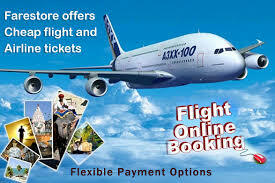 Plus it offers enjoyment ticket and online shopping. It commences at Changi Airport. The terminal is at the Changi airport, Terminal 1. 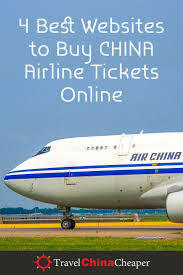 It provides flights to Indonesia, Malaysia, Thailand and United Kingdom. Get ready to experience the lower costs for suitcases, when you super size your luggage from 15kg to 30kg in beforehand. The permitted size to bring the baggage is 15kg and any unnecessary luggages are chargeable from US$8 to $17. You're going to be offered mouth watering foods and drinks. Travelers can conserve up to 25% by pre reserving the meals they eat. They provide Halal, vegetarian, international and native food. It's got two online menus. As I am talking about eating, I would like to tell you about my Pulau Perhentian trip. It was an awesome trip that I enjoyed eating, snorkelling and diving. The beach restaurants have provided me a yummy Malaysian food. We had a great time eating there with my friends. We traveled as a backpacker to that Island. Also I really got excited to see the hotel charges in Pulau Perhentian. It is very affordable for us. As a backpacker, we just paid the same amount what we need to pay for a dorm bed in Singapore. Also we started during the off season and all the prices are very low that we could never expect. 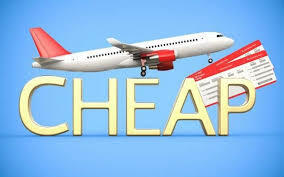 So it is advisable to travel during the off season if you love to enjoy the low prices and less crowd. It is advisable to consider EW train from Tanah Merah MRT station which goes in the direction of Changi Airport MRT station. It takes merely Eighteen minutes and only 2 stops away. 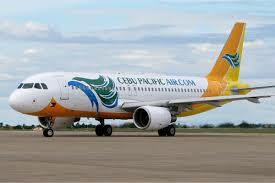 Cebu Pacific can be another budget air travel in Singapore. 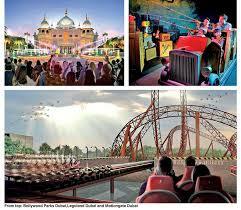 It offers hotel reserving and trip reserving options as well. The head quarter is Philippines. 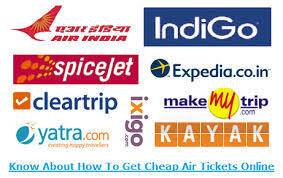 It delivers air plane travel at economical rates. It reaches at the budget terminal, Changi Airport of Singapore. Cebu, Philippines-Singapore: It costs 8148 PHP for one way and yes it takes 3 and half hours travel time. It operates 8 flights every day. Manila, Philippines-Singapore: It runs eight flights regular as well as prices will be 6,399 PHP. It's going to take around 3 hours 30 minutes travelling time. Boracya-Manila, Philippines-Singapore: The fees will be 9,498 PHP and Cebu Pacific functions 3 to 8 flights on a regular basis. The travelling time is going to be 6 ½ hours. Clark, Philippines-Singapore: The travelling time will likely be 4 hours also it fees around 6,399 PHP for 1 way trip. Every day 1 airline flight is going to be operated. The permitted travel luggage to carry in this Air lines is 15 kg. 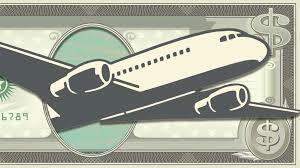 If you are planning to transport extra baggage, you will have to spend the money for excess travel luggage costs. 'Go Lite Fare' is 100 PHP lesser and contains zero sign in permitting. 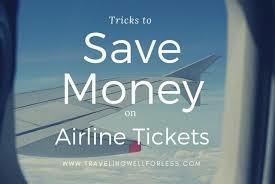 You save up to 20%, if you ever pre-pay the luggage amount. Cebu Pacific will not serve free foods. Fees apply whenever you order foods in flight. Coming from Tanah Merah MRT, take the EW train in the direction of Changi Airport MRT train station. Eighteen minutes, two stops. Jana duit atau pendapatan dengan Shopee semudah ABC. Bestnya Shopee adalah PERCUMA. Tiada yuran/ bayaran dikenakan dan merupakan model bisnes yang hampir 0 modal. Antara sebab mengapa rakyat Malaysia gemar membeli d Shopee adalah kerana Shopee menyediakan apps mobile friendly. Kalau dulu agak sukar untuk buat belian melalui PC atau dekstop -sebab tidak ramai yang menggunakan PC / laoptop. Tetapi dengan adanya APPS untuk pengguna samrtphone, proses membeli sangat mudah dan selamat. Kita sedia maklum ,rakyat Malaysia ni antara pengguna smartphone tertinggi di dunia. Shopee kadang-kadang ada sediakan FREE Shipping, dan ini sangat membantu pelanggan membeli tanpa dibebankan dengan kos penghantaran. Ramai yang ambil peluang jana pendapatan melalui Shopee. Korang boleh jadi seller di Shopee semudah ABC sahaja. Korang tak perlu ada barang sendiri, sebab korang boleh guna pakai konsep dropship. Dropship konsepnya, ambil tempahan dahulu, kemudian anda membuat tempahan kepada pembekal. Pembekal tadi akan bungkus, dan poskan ke alamat bakal pelanggan tadi. Senang bukan? Ramai yang pakai konsep pre-order atau dropshipping ni dan meraih pendapatan yang banyak. Cuma nak share bukti yang buat duit 4 angka seminggu di shopee itu bukanlah sesuatu yang mustahil! Semakin hari, semakin ramai yang berjaya membuktikannya!